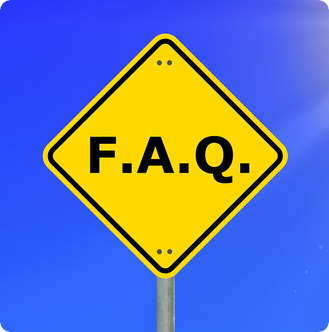 Welcome to the general Frequently Asked Questions of the Devereux Center for Resilient Children (DCRC)! See the bottom of this page to access Frequently Asked Questions related to each age range. If you have a question about the work of the DCRC that is not included below, please submit your question here. Q1. What age ranges do the DCRC resources span? Q2. Are the DCRC resources offered electronically? Click here for more information on the e-DECA System. The kindergarten through eighth grade assessments (DESSA, DESSA-Mini) can be found on the Aperture EVO SEL platform. Please visit www.apertureed.com for more information. Q3. In what languages are the DCRC resources available? In addition to English, several resources are also available in Spanish. The assessments available in Spanish include: DECA-I, DECA-T, DECA-P2. Both the Infant/Toddler and Preschool For Now and Forever Parent Strategy Guides are also available in Spanish. Several of our school-age resources are in the midst of translation. Please email [email protected] to check on the status of these and other resources you would need in Spanish, or other languages. Q4. Who typically completes the assessments? The DECA-I, DECA-T, DECA-P2, and DESSA may be completed by BOTH the child’s parent and/or caregivers/teacher. The DESSA-Mini is completed by a teacher or after-school staff member. The qualifications that an adult must have to complete an assessment include: 1) Knowing the child for a minimum of four weeks; 2) Spending sufficient time with the child over the minimum four-week period to feel confident answering all of the questions on the assessment. The DARS is self-completed by adults as a self-survey. Q5. Does DCRC recommend obtaining parental consent for administration of the assessment tools and analysis of it for evaluation purposes? Programs and agencies should confirm that existing policies and procedures already in place for obtaining parental consent would cover the DCRC assessments. Often, parental consent is granted through a blanket letter at time of enrollment or at the beginning of each year which lists and describes all the assessment tools and evaluations to be conducted throughout the year. However, if the general consents don’t encompass your intended use of the data, DCRC believes it would be best practice to obtain consents. Follow this link and choose “Parent Letters” for several sample parental consent letters that can be adapted to meet your program’s needs. Q6. Can our program use only the assessment tools and not the strategies and other planning resources provided by DCRC? Yes. The use of DCRC assessment and strategy resources can adapted to best meet a program’s specific needs. DCRC recommends that assessment results lead to strategies and planning to promote children’s resilience. Our assessment and planning programs are designed to simplify that process. However, if programs choose to use DCRC assessments in conjunction with other strategy resources, that is certainly appropriate. In addition, programs may choose to use DCRC strategy resources independent of the DCRC assessments. Q7. Does DCRC offer any resources for children with challenging behavior? All of the strength-based assessment and strategy resources that DCRC offers are appropriate to support children who use challenging behaviors. In addition, DCRC offers additional resources specifically targeted at addressing challenging behaviors including Facing the Challenge and FLIP IT! ®. Please follow this link for more information on working with children with challenging behaviors. Q8. What is the philosophy behind creation of all DCRC resources and professional development? Is it promoting healthy social and emotional skills; preventing challenging behaviors; or addressing challenging behaviors? All of the above. Our approach/philosophy is centered around promoting social and emotional development for all children, as well as the protective factors and resilience of all children and the caring adults in their lives. Healthy social and emotional development, protective factors and resilience helps, in turn, to prevent challenging behaviors. Q9. How do your assessments fit with other assessment instruments, curricula, and standards? Our assessment and planning resources are designed to fit within existing systems, filling the gaps, to help promote healthy social and emotional development in children. Our assessment and planning programs are not a curriculum, but provide strategies and planning activities that will enhance the overall quality of the program, as well as help build the protective factors of children and adults. A variety of crosswalks and alignment tools are available. Follow this link to download several crosswalks. Q10. What are the unique features of DCRC’s assessment programs that make them the most appropriate choice for my program? DCRC offers not just nationally standardized, valid and reliable assessment tools, but also entire systems of strategies and planning for children and classrooms. Parents and teachers work together as partners to implement our assessment and planning process. For most of our assessments, results are linked to strategies for the home and school. Our tools can be used to monitor and measure outcomes for children, assisting programs to meet standards and more importantly, making a difference in the lives of children and their families. Q11. How can the DECA-Infant/DECA-Toddler/DECA-Preschool be used to measure outcomes for individual children, groups of children, and program evaluation and quality improvement purposes? Q12. How can the DESSA be used to measure outcomes for individual children, groups of children, and program evaluation and quality improvement purposes? The value of the DESSA is that it not only provides a psychometrically-sound measure of social and emotional competence in individual children and groups of children, but it can also be used for progress monitoring and program evaluation purposes. Progress monitoring consists of administering an assessment such as the DESSA multiple times throughout a school year in order to examine how children are responding to a particular intervention or program. The goal of progress monitoring is to obtain feedback during the intervention or program so that the nature or intensity of the intervention or program can be adjusted to maximize the chance of a successful outcome. Progress monitoring may occur multiple times over the year. In contrast, program evaluation refers to examining the progress or change observed over a defined period of time such as a school year to determine overall program effectiveness. Q13. Is training necessary to implement your assessment and planning programs? No. The User’s Guides and Strategies Manuals provide information about how to properly implement the resources in a variety of settings so that professional development is not required. However, DCRC does offer a variety of professional development options for those programs who choose to enhance the written materials with hands-on training for themselves and/or their staff. Professional development opportunities include live training events, webinars and technical assistance. Learn more about professional development options here. Q14. What implementation training professional development options are available? DCRC offers two-day implementation training sessions, mentoring sessions, and many other options for bringing program staff up to speed and getting them excited to implement the program. Please contact our Director of Professional Development, Debi Mahler, for more information: [email protected] or, visit the Professional Development section of our website. Q15. Do you offer professional development on other topics related to the social and emotional health of young children? Yes! The Devereux Center for Resilient Children provides professional development on a variety of topics related to promoting the social and emotional development and resilience of children birth through school age, as well promoting resilience in adults who care for young children. See our list of topics, many of which can be offered both in full day trainings and for keynote and workshop formats. Q16. Our professional development budget is tight, what options are available for limited or no cost? DCRC offers several one-hour recorded webinars on our website. These webinars provide a solid introduction to many of our resources, including the DECA for Infant and Toddlers Program, the DECA Preschool Program, the DECA-Clinical, and the DESSA. In addition to onsite professional development options, we also offer many of our trainings in a distance learning/webinar format. For more information, please click here. Don’t forget to look for us at state and national conferences as well! View our conference calendar here. Q17. Do you offer any train-the-trainer sessions on your resources? While not a train-the-trainer, DCRC offers a Local Program Mentor (LPM) Training on the DECA for Infants and Toddlers, the DECA Program for Preschool, and both programs combined (DECA Birth through Five). The Local Program Mentor trainings provide the next level of knowledge and skill on the DECA/DECA-IT Program for those professionals who are in the role of providing training and technical assistance to others. A prerequisite to attend a Local Program Mentor Training is attendance at a Two-Day Implementation Training facilitated by a Devereux Certified Trainer. Participants will leave the Local Program Mentor Training with the knowledge, skills, and materials to develop customized workshops and support for their staff/community. At this time, we do not offer a Local Program Mentor Training on the DESSA tool. Two additional train-the-trainer sessions are available for those professionals seeking to further build their skills on supporting others working with children with challenging behaviors. The 2.5-Day Facing the Challenge: Helping Teachers Better Work with Children with Challenging Behaviors Train-the-Trainer Session and the Two-Day FLIP IT! Train-the-Trainer Session are not dependent on the use of the DECA Program but can certainly enhance practices that help to reduce challenging behavior in young children. All of these sessions and more are detailed here. Q18. Are CEUs offered for DCRC Training Sessions? CEUs are offered for DECA Program trainings. Additional credits may be available depending upon your State and your college degree and/or licensing/certification. Please contact us via our online form or call us toll free at (866) TRAIN US for more information.